Serving the best Mahi-Mahi, fresh giant hand cut french fries, hamburgers …, enjoy with a cold drink overlooking the bay at the cruise dock. Check out our full restaurant menu below! We also host live entertainment on the dock, be sure to check Events listed below for updates. We offer you our signature dish of true cast iron blackened Mahi-Mahi, prepared in a way you seldom find. When we prepare your Mahi-Mahi it is cooked in a red hot cast iron skillet the way it is meant to be using clarified butter and Chef Paul Prudhomme’s seasoning that is not spicy. Very rare, actually never seen before in public, an extraordinary large hand cut skin on crinkle cut french fry that you will never forget. A special blade has been manufactured just for these fries. Our potatoes are cooked in 100% peanut oil. Head to Isla Blanca State Park – RV Park (Southern tip of South Padre Island). Turn right at the parking lot before the gates to Isla Blanca State Park. We are in a small building in-between the two blue awning facing the water directly on the dock. For assistance see Breakaway Cruises ticket counter. They will direct you to our place. Our location is small but we are big on Quality! Inspired by the late Chef Paul Prudhomme we now offer our signature dish of true cast iron Blackened Mahi Mahi prepared in a way you will seldom find in South Padre Island, TX. We also have a very rare, actually never seen before in public, an extraordinary large hand cut, skin on, crinkle french fry cooked in Peanut oil that you will never forget. We are excited about our new location which is directly on the bay. Our seating is outdoors with great waterfront views and amazing sunsets. Great place for your morning coffee, watch the sunset with a glass of wine, or have a cold beer while watching the boats come in. Our menu may change as local resources become available. For instance, we will offer fresh shrimp when in season which are bought directly from local fisherman. Be sure to check out our online menu for updates and daily specials. But for certain, we will always be serving our Blackened Mahi Mahi and crinkle cut french fries. For recommendations with our menu please see our reviews on yelp and don’t forget to read the “unrecommended reviews” which are very helpful aswell, found at the very bottom of our yelp page. Enjoy some great grub and awesome live local music at the newest hottest spot at the island! 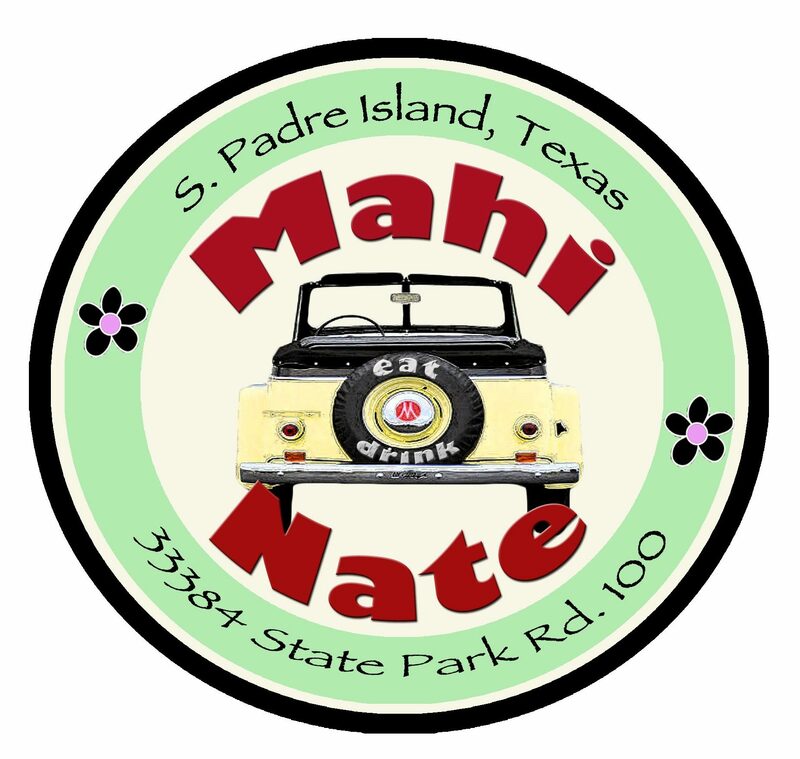 The bands will keep you off your feet while Mahi Nate’s keeps you refreshed!! !